If I were to sum up last year with just one word, it would most likely be: horrible. I choose this word because of things that took place in my real life, such as the death of my Nan; I choose it because of how disappointing, I felt, the year was for gaming (more on this tomorrow); I pick it due to some of the events that took place within the gaming industry, such as the PlayStation Network hack; and I use it because of my unproductive, less than ideal year here on the blog. Despite starting and pursuing some things that I thought were really interesting, such as my ‘Living The Life’ series, I definitely feel as if 2011 as a whole was disappointing as far as Raptured Reality is concerned, and that it was probably my worst year of blogging to date. I am proud of some of the content I produced and some of the experiments I conducted but, for every success it felt like there were many more failures, so I am definitely unhappy with the blog’s final outcome for 2011. I tried some things that didn’t eventuate (and which you never knew about), I seemingly failed to stick to my word and keep my promises whenever I laid out my plans to you, and my consistency was… well, it was non-existent. The year is over now, though, so there is little point in dwelling on what could or should have been. 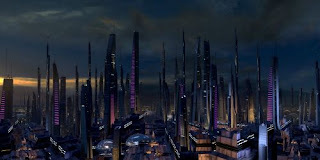 Instead, it is time to reflect on the year that was, so here are some thoughts, observations and insight into some of the posts that were published on Raptured Reality in 2011. The start to the year was interesting because it felt like I hardly published anything and yet I did get a fair bit done. I explored some interesting subjects, continued to add to things like my Living The Life series and I started a new tradition, too, by looking back at the year that was 2010. Re-reading over that post now brings to my attention that I didn’t get to do a lot of the things I wanted to as I began 2011, but despite this it was interesting to reflect back on the insanely packed year that 2010 was and to remember the games, issues and themes that defined the year for me. I revealed the ten games of 2010 that were important to me through two extensive posts; achieved a mini-goal of mine by looking at and responding to the reveal of the new Tomb Raider (the goal being to respond to things I found interesting more often, also demonstrated by a look at the cancellation of Perfect Dark Core in March); continued to display a deep affection for and addiction to Minecraft by taking a look at the addition of Wolves to the game, of all things; and I reflected back on the season so far of my Living The Life series after finishing the fifth round (of nineteen) of the season. This last one was particularly intriguing and fun to do as it enabled me to look back on the story both in character and out if it, highlighting some of the things that doing this role-playing story had enlightened me to as well as explaining some other aspects that were only merely mentioned in the summary of each round up to that point. It is an aspect of the series that I plan on continuing as the season progresses (it’s already finished in terms of playing but, obviously, not in terms of being published here on the blog) so look out for more insight as more rounds are published. February also marked the release of the first of my “big four” games of 2011 (more on those tomorrow) with Test Drive Unlimited 2, a game I was eagerly anticipating after loving the original but ultimately a game that was somewhat disappointing, too. I still love it of course and will explain why in the near future but there’s no denying that it has a lot of problems and flaws, too, and that it didn’t meet expectations either. A trend that seemed to be a theme for the entire year, actually, but you’ll have to wait until tomorrow for me to elaborate on that. April was a particularly significant month for two reasons, one public and one private. 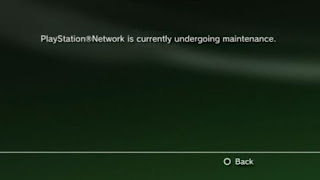 Publicly, it was the month in which the PlayStation Network hack occurred and where gamers around the world were concerned about whether their credit card details were obtained or not. Personally, while I was worried too, I was more interested in the response to the debacle and whether other companies, Sony themselves or industries in general would learn from the situation and use it to ensure online security in the future. It was the most important ‘event’ of the year, no doubt about it, and I really wanted to see everyone react to it in that way but, instead (and like I expected), people got over it pretty quickly -- especially once the PlayStation Network itself was back up and running -- and now it is almost as if the entire thing didn’t even happen. That is the most disappointing thing about 2011 for me as a whole, but it is not surprising at all and was probably predictable from the start. 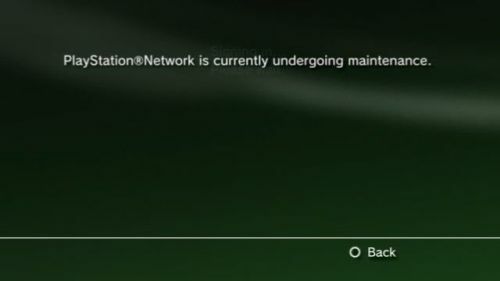 When the potential was there for identity theft and personal information to be obtained (if not utilised) everyone rightfully was in a state of panic, but once it became clear that the only real impact was a lengthy down-time for the ability to play games online on the PS3, everyone expressed their disdain and then ultimately moved on to forget about it. Not only is that an example of how quickly people move on and forget on the Internet but, more seriously, it is also an example of how blasé industries, companies and consumers all are when it comes to the convenience of the thing and its many online services. When things go wrong the complaints come thick and fast but when they become ‘right’ again, everybody goes back to their routines, privileges and schedules, and it gets lost in the digital ether until the next big disaster takes place. It really bothers me (if you can’t half tell) but that is the Internet for you, so whining about it here isn’t going to change anything. More privately the month was also significant because of something that was happening behind the scenes and also something that ultimately didn’t eventuate. Any regular reader of this blog knew that I had a strong addiction to Minecraft and that part of that obsession involved watching videos on it such as Coe’s Quest, a series I had mentioned in 2010 a couple of times when discussing my experiences with the game. What you didn’t know, however, was that I had contacted Coe and asked if I could interview him, something he kindly agreed to. I requested it because he was approaching his 150th episode and I thought it would be a good thing to coincide with the milestone and, some email exchanges later, I had a series of questions and answers ready to go. So why wasn’t it ever published? Quite simply, because it wasn’t finished and for whatever reason Coe never responded to one of my emails. He had a particularly busy period with his work and also preparing for that milestone and as such he went quiet for a few weeks, apologising every now and again for not replying to me. I told him that it was fine and that I was happy to wait (that and the 150th episode still hadn’t aired yet, so I thought there was plenty of time) and after that I never heard from him again. As you can imagine that was quite annoying as we had already progressed quite far and, because interviewing someone was something new for me (one of the many experiments I ended up trying in 2011), I was really looking forward to finishing it and publishing it here on the blog. Despite these frustrations I don’t hold anything against Coe for failing to respond and I am still glad I got the opportunity to try interviewing someone, even if it didn’t pan out or ever see the light of day publicly. I even still watch Coe’s Quest which recently hit 200 episodes and continues beyond that, so really nothing has changed for me and my relationship (if you will) with his story in Minecraft -- the only thing that was different was that I had talked to him and no one ever knew about it. That’s disappointing to be sure, but it is the way things go sometimes, too, so I put it down as an interesting experiment and nothing more. April was also rather hard to bear as it was the month in which I wrote a tribute, of sorts, to Bizarre Creations. When news broke that Activision were shutting down the studio I was pretty upset about it. 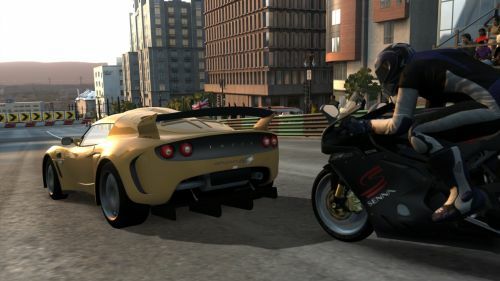 Sure, studio closures and lay-offs were nothing new in the industry -- especially last year -- and as such, it is something I should be accustomed to, but it was particularly hard news personally because Bizarre made some of my favourite racing games of all time and were absolutely one of the best developers in the genre. 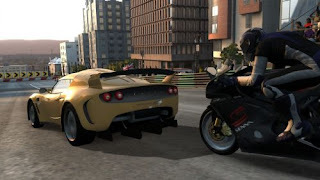 Alongside Criterion Games (thankfully still alive and well), Bizarre defined what Arcade racing thrills meant to me so to lose that was not only serious -- due to insane talent losing their jobs and thus, livelihoods -- it was devastating, and probably the other big low-point of 2011 for me. Most of the talent appear to have landed on their feet and now work for other studios, which is good to see, but it was still a significant loss to the industry and, perhaps more importantly, the medium of videogames itself, too. Rest in peace Bizarre Creations. May was also a busy month as it saw the release of L.A. Noire, the second game of my “big four”, as well as posts looking critically and analytically at Gran Turismo 5 and Mafia II. The former also marked the beginning of my ‘Behind The Wheel’ series which is where all my racing game critical coverage will now go. 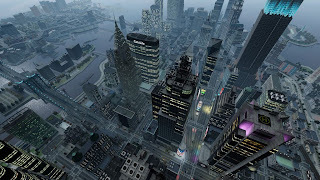 I enjoyed looking at Gran Turismo 5 from three different perspectives and definitely took pleasure in trying to pin-point just what made GT5 unique, but I was also fairly disappointed, too, because looking back on the year as a whole I now realise that I still haven’t finished appraising that game in the way that I intended. 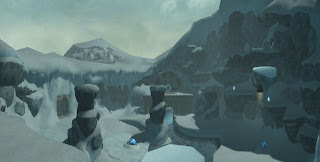 Something to attend to this year, then, especially considering that I feel like the game has been rebooted (in a sense) after the release of Spec 2.0 in October: a significant update to the game that brought with it some interesting changes and was released in preparation for the (then) upcoming downloadable content. Even worse than failing to continue my look at Gran Turismo 5 in-depth was my failure to continue talking about Mafia II, a game that left me with incredibly mixed, strong feelings and a title that still to this day stands out to me as intriguing and important. Back then I likened it to the way in which Mirror’s Edge ultimately made me feel, an analogy that I think is even more apt now as I reflect back on my time with Mafia II and realise that, despite its flaws, I really loved it. I think one of my goals for this year will be to return to Mafia II and knuckle down on what my overall thoughts on it actually happen to be because I truly do believe the game deserves some more time in the spotlight. 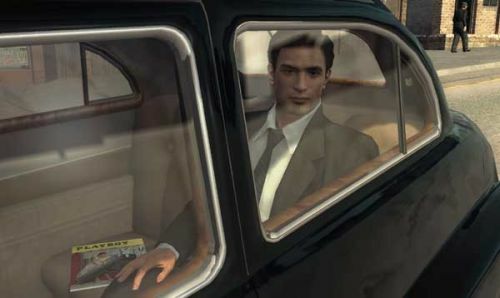 I think it will be even more interesting to do it now that I have also experienced L.A. Noire, as the two games have more than just their 1940s setting in common. Perhaps luckily after all of that, June was a rather quiet month, the distraction that is E3 being particularly prominent. Even so I still managed to begin another series that I have since left neglected. As you would expect I am not proud of the fact that I posted just one entry in the ‘Evaluating My Driving Style’ series before leaving it dormant, so that’s something that frustrates me especially now that we are in 2012. Having said that, I never lost interest in doing it as I believe the series as a whole will offer a fascinating insight (for people who aren’t as familiar with the racing genre -- or racing in general -- as I am) into the ways in which someone can approach a videogame or, indeed, racing. So I definitely intend to continue the series this year. I have the entire thing planned out and drafted so in a sense it is appalling that I never got it done, but these things happen and I will rectify this problem in the future. I promise. The third quarter of 2011 was perhaps the best part of the year for the blog, for a variety of reasons. Not only was it the most packed and varied in terms of content, it also saw the beginning of two new projects and the publication of a few posts that were important to me. I also happened to buy my purpose-built gaming PC in July, finally giving me access to a platform and range of games that I had to ignore for so long prior to that purchase. Of course, my love affair with Minecraft and inability to keep on top of the things that I commit to has resulted in my Steam library remaining largely untouched, but as the months and years go on I definitely look forward to exploring PC gaming fully, and having an even deeper understanding of and connection to the medium I love so much: videogames. Perhaps the most important thing that happened in the third quarter was an especially important milestone for a franchise that I absolutely adore: Metroid. Not only did the series celebrate its 25th birthday, an incredible feat that few other franchises can manage, the milestone also inspired me to get on with a series of posts I had been planning for months: my Metroid Marathon. So far, I would say the Marathon has been a success with people enjoying my analysis and coverage of the game -- particularly the post in which I look at the game’s 'Magic Moments' -- and personally I have really enjoyed the fact that I can take such an in-depth look at what is easily my favourite franchise ever. It has gone a little quiet in recent months for various reasons, but so far it has been great and I look forward to continuing it throughout 2012. Other interesting posts to come out of the period included some musings on Let’s Plays, continuing my desire to respond to various things; a post lamenting the inevitable ‘loss’ of Liberty City from Grand Theft Auto IV once it is succeeded by even more impressive cities, most likely from future GTA installments; the continuation of my Living The Life series after yet another little hiatus, as well as a look at some discoveries I had made whilst playing F1 2010 out of character; a look at the ways in which developers can (and do) approach realism in racing games, including a convenient example not long afterwards; and an editorial expressing my desire to see games use Mother Nature and natural disasters a little more effectively and in ways that affect the game experience. Writing that last one was hard as it had to be delayed a few times due to (and out of respect for the victims from) the many natural disasters that took place in real life during 2011, and because it is hard to contemplate the subject as it relates to games when it is unclear as to what will and won’t be possible in the future. In theory the ways in which games can use disasters and Mother Nature to impact the gameplay has massive potential and, as such, that’s why I would like to see that aspect of the medium explored further; in practice, however, it’s simply not clear what technical limitations will impede on the possibilities in this area, so I will continue to observe with interest as we continue moving forward into the new generation and beyond. I do hope we can make some progress in this space, however, and that weather in general doesn’t just remain a superficial element of videogames only. If the third quarter was the best part of the year for the blog, then the final quarter was the worst. All three months were relatively quiet with very little happening on the blog, mostly because I needed to take a break from my usual routines as I dealt with some stuff in my personal life. This silent period bothers me because I don’t like being inconsistent, but history from previous years would suggest that consistency as a whole is an issue that I have always had trouble dealing with and that, in particular, the final months of the year are always rather quiet here on the blog. I would like to take the opportunity now to apologise for that because it is in no way intentional but obviously it keeps occurring, too, so it is something that I need to work on. Having said that, the period wasn’t all bad. I still did some interesting things, the most significant being yet another experiment. In October I may have only posted one post but that post was a link to and additional musings on my very first review which focused on F1 2011. I wasn’t really expecting to try my hand at reviewing back then but I am glad I was given the opportunity and thought that I did fairly well for my first attempt, though whether anyone who read it agrees is another thing entirely. Obviously I haven’t reviewed anything since, either, which may or may not suggest things to you, but overall I am glad I tried it and wouldn't mind doing so again in the future if the opportunity ever arises. Even if it doesn't, however, I would be fine with that too as I much prefer the freedom that editorials provide, and my incessant ability to ramble certainly ensures that I prefer longer-form writing as well. Perhaps ironically, the month after my first review I published a post that looked at some recent reviews surrounding the blockbuster videogames that had just been released, expressing concern with the seemingly relentless praise these titles were garnering. The idea wasn’t to suggest that these reviews were “wrong” or anything like that but, rather, that critics should (and need to) be careful with their appraisals and should try to avoid falling under the spell of hype and excitement that the end of year release schedule usually brings. Seeing a whole host of games be awarded ‘perfect’ scores (IE: 10/10) was worrying not because they were full marks, but because of how easily (and quickly!) titles can have a backlash a few months after release. In the post I used The Legend Of Zelda: Twilight Princess and BioShock 2 as my examples; now, just a couple of months after release, there’s people retracting their opinions on Batman: Arkham City, The Legend Of Zelda: Skyward Sword and Uncharted 3: Drake’s Deception -- all titles that received perfect scores at some publications. * I’m not going to be so bold as to say I told you so or anything like that, because that is just being arrogant, but the change in perception around these titles certainly suggests that I was right to be as concerned as I was. 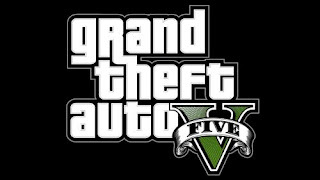 The final significant thing of the year, aside from yet another return of the Living The Life series after another hiatus, was a post looking at the announcement of Grand Theft Auto V. Any regular reader would know how much I love GTA IV so it was only natural that I was going to be excited by the announcement, and eager to hear more about what direction the franchise was heading in. I used the opportunity to lay out some of my own desires for where I think GTA should go, as well as gave some predictions for GTA V. Really, though, I simply look forward to the day that I can step out into the re-envisioned Los Santos for the first time and discover what it has to offer -- I love getting lost (figuratively) in new virtual environments and can't wait to explore the city and its surrounding countryside when the game finally hits. And there you have it, a look at the year that was here on Raptured Reality. As I said this is now a blog tradition for me as I find it really interesting reflecting on the year that I had and commenting on some of the posts that I made, giving you insight into how I go about writing here as well as the way in which some posts came about. It wasn’t exactly the most ideal or pleasant year, but overall I'd classify the year as a learning one. Will 2012 be as experimental and inconsistent as 2011 was? Honestly I have no idea, but unlike last year I have some direction for where I want to go with the blog this year, some of which you will be seeing sooner than you may think. Hopefully you have enjoyed this look back at 2011 as it fared on Raptured Reality. Come back tomorrow for a look at the games that I played throughout the year, as well as some explanations as to why I found the year as a whole to be rather disappointing. *I’m actually somewhat surprised that The Elder Scrolls V: Skyrim isn’t receiving a similar level of backlash, as I would argue that the titles that are receiving some negativity are more polished than Bethesda's title ultimately was. The closure of Bizarre Creations saddened me too. I only ever played a handful of their games (Formula One, Metropolis Street Racing, Geometry Wars and Blur; if I had an Xbox I'd have been all over the Project Gotham Racing series), but it's always sad to see an obviously talented studio bite the dust, particularly one that has its roots in the 16-bit industry. Some ten years later I'm still lamenting the loss of Looking Glass Studios. At the time it boggled my mind that Eidos no longer had a place for the creators of System Shock and Thief. In retrospect, while those games were a critical success, they weren't necessarily a commercial success, so under those circumstances it makes sense. Thankfully most Looking Glass employees ended up with the likes of Irrational, Ion Storm and Eidos Montreal and have been responsible for some awesome games, such as BioShock and Deus Ex: Human Revolution, so I guess all's well that ends well. ROBLOX is empowered by a growing membership base of over 300,000 creator players who produce an infinite variety of highly immersive experiences. These experiences range from 3D multi-player games and competitions, to interactive adventures where players can take on new avatars to imagine what it feels to be a dinosaur, a miner working a mine or an astronaut on a space exploration.